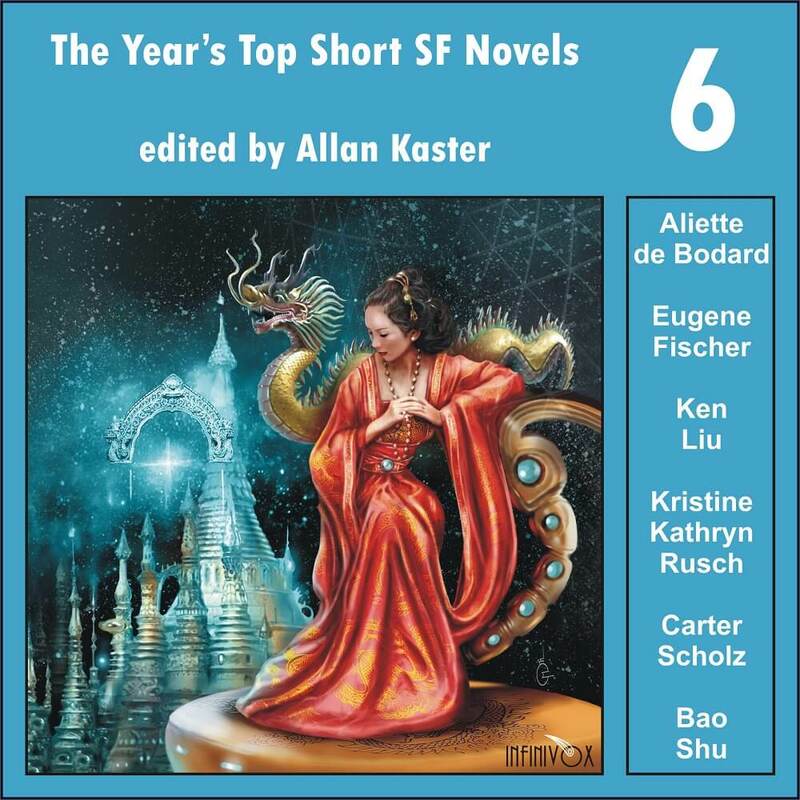 The Year’s Top Short SF Novels 6, edited by Allan Kaster, is an audio anthology containing five science fiction novellas from 2015. It’s a diverse, entertaining, and thought-provoking collection, and very well narrated! I’ve enjoyed Rusch’s Disappeared series since the first novella was published (The Retrieval Artist, 2000). I haven’t the time to keep up with all the novels Rusch has written in the series since but every one I have read has been excellent, including this short one. In a warehouse in a city on the Moon in Rusch’s robust future world, a body has been discovered in a recycling crate. Detective Noelle DeRicci is called in on the case. 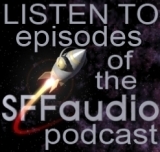 The story is a perfect blend of SF and mystery fiction. This was an interesting thought experiment. We humans live our lives in a linear fashion, cause preceding effect after effect after effect. The story attempts to portray people living linearly, but in reverse. We see history passing backwards as characters live their lives. Interesting. Imagine a disease with an effect that allows women to reproduce without men. Offspring are clones, since the genetic material has only one source. Men are no longer part of the process. The idea of men becoming extinct brings past stories to mind, like James Tiptree Jr’s “The Screwfly Solution”. The New Mother is a story that leaves the listener with a lot to think about. I was fascinated by this story about a group of people that decide to take it upon themselves to build a ship, get aboard, and launch to Alpha Centauri. The story is told by various characters who wake up from their long sleeps to do various tasks. How did such a group pull this off? And how far can the group get? Well-written, I thoroughly enjoyed it. There is a lot going on in this novella, the longest in the collection. A rich and interesting culture. Mindships, where minds are installed in and control ships. Uploaded minds of previous emperors that serve as advisors to the current emperor. Terrific. Just a beautiful story. 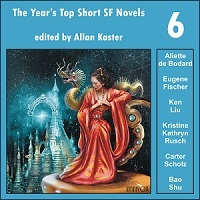 This anthology is also available as an ebook.